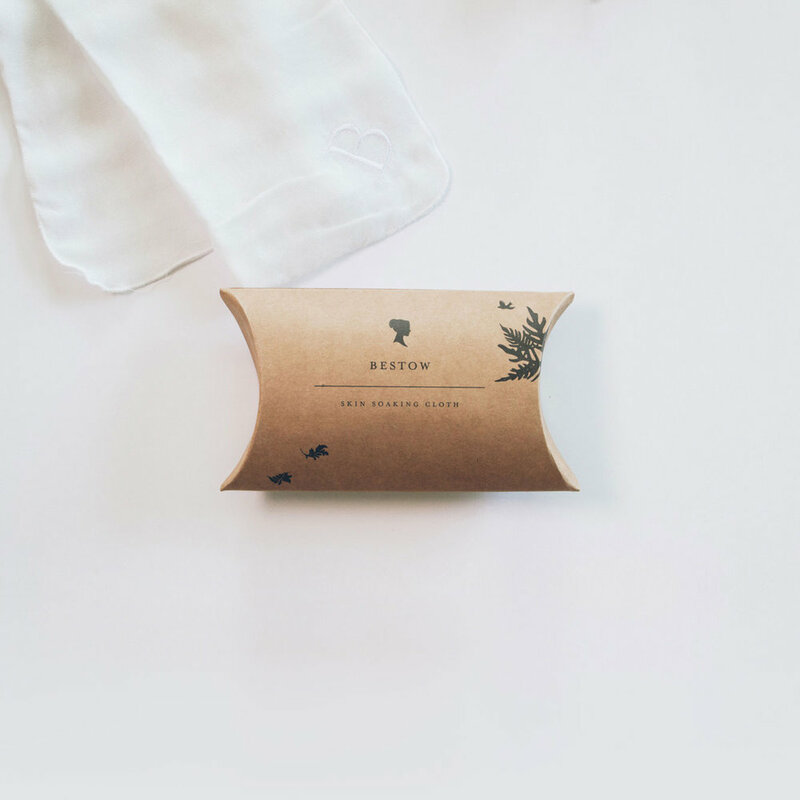 The Bestow Soaking Cloth is now available in a gorgeous, kraft pouch. The Bestow Soaking Cloth in muslin is perfect for our soaking ritual (see video below) and then follow with Bestow Nourishing Facial Oil. The cloth size is 44cm x 44cm. * Please note other products pictured are not included. For maximum benefit, soak your skin with warm water before massaging one to two drops of Bestow Nourishing Facial Oil into your skin. See the 'Nourishing Facial Oil Ritual' video for a demonstration.